Click "Import" along the top toolbar and the Import Customers window will appear. Click "Customer Template" to download the Excel template. 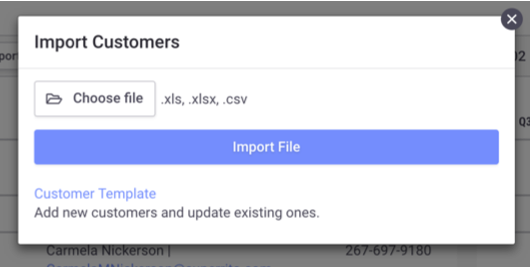 Open and edit the template file and fill in the information for your customers. The red and green labels at the top of the spreadsheet will explain the various fields. 6) Once you've completed the spreadsheet, you will need to upload it to Brandboom. Follow Steps 1-3 to bring up the Import Customers window. Choose the file from your computer and click Import File. 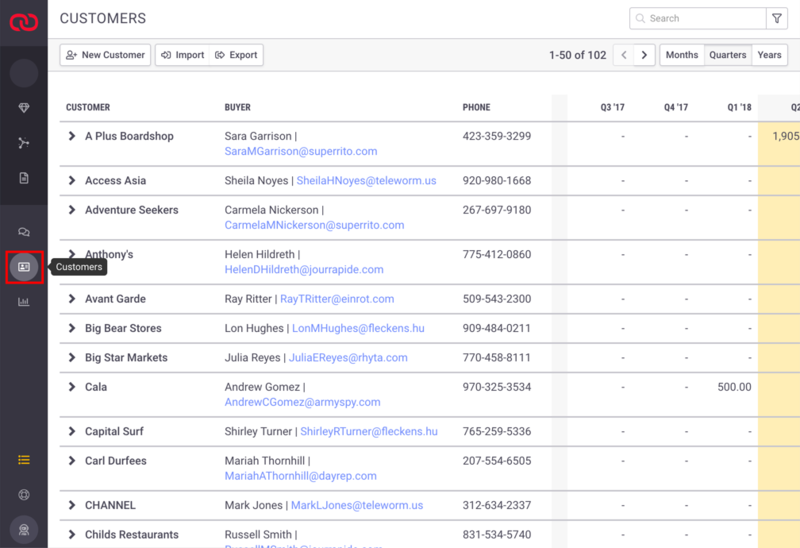 If your customer has multiple shipping addresses, pay attention to the "Type" column on the Customer Template. Enter "B" under Type to indicate a billing address. Enter "S" under Type to indicate a shipping address.You can use Customer Code 2 to identify different shipping addresses for one customer. If the Type Column is left blank, customer information in that row will be imported as a Billing & Shipping address.